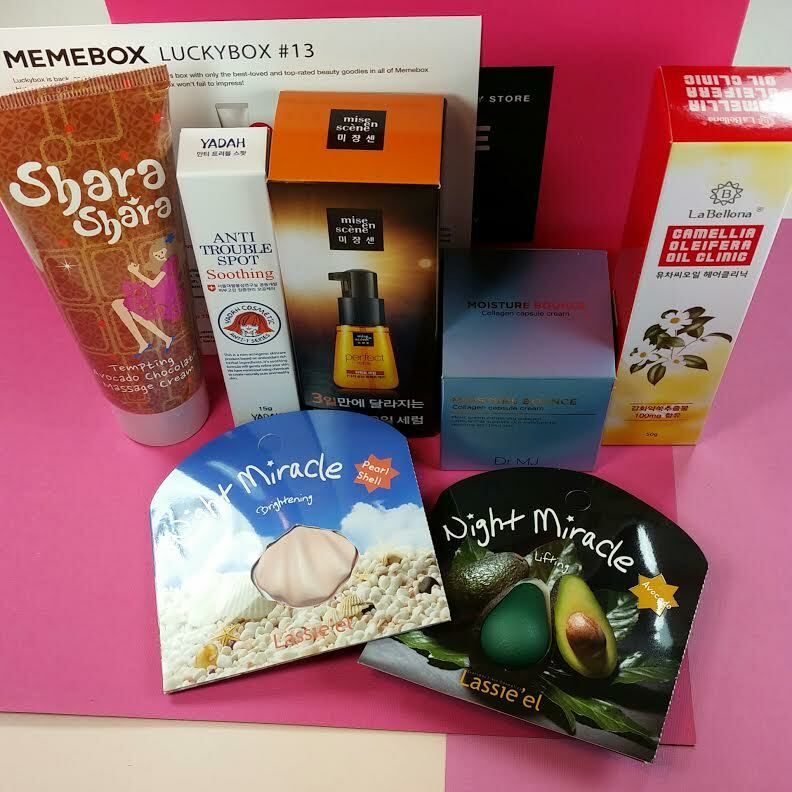 This review of Memebox Luckybox #13 might get a little disjointed. I'm totally sick but can't help feeling a responsibility to get my reviews out there in a timely manner for those who are anxiously awaiting whatever news might come. I ordered Luckybox #13 as soon as it went on sale as a single. Most of the boxes Memebox has put out lately haven't been interesting to me and I think a lot of that is because I have so much stuff already. Now that I see the contents of this box, I'm actually pretty pleased with it. Not as many repeats as I was expecting. This Luckybox was $23.00 plus $6.99 shipping but I used a batch of points I had to snap this up. All my points I had left, actually, at the time. Later, I wished I had saved them but how could I know there would be an awesome Sampler Box? Shara Shara Tempting Avocado Chocolate Massage Cream-100ml- I have never seen this before! I'm sure it's likely been in a box before but not one I've gotten. This is a blend of avocado oil, cacao extract and banana extract. I'm pretty sure I want to eat it now but you're actually supposed to use this on your face. Massage on, rinse off. Mise en Scene Perfect Repair Serum-70ml- I'm pretty sure I could take a bath in the amount of Mise en Scene products I've received over the last year. This has 7 different natural oils- argan, camellia, olive, jojoba, coconut, apricot and marula and is supposed to make your hair totally awesome. I wouldn't know because I don't use much in the way of hair products but this does get some pretty rave reviews. 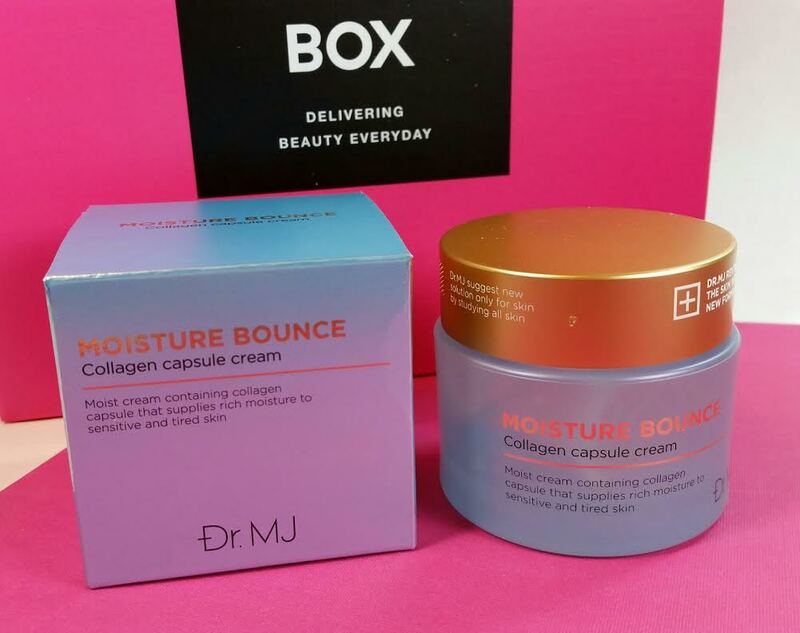 Dr.MJ Moisture Bounce Collagen Capsule Cream-50g- A facial cream formulated into bouncy, jelly-like texture packed with collagen capsules, hyaluronic acid, and adenosine to hydrate and firm up your skin. I have this already and actually like it. It's a gel and it's very light. I think it has too much fragrance but other than that, it's nice. 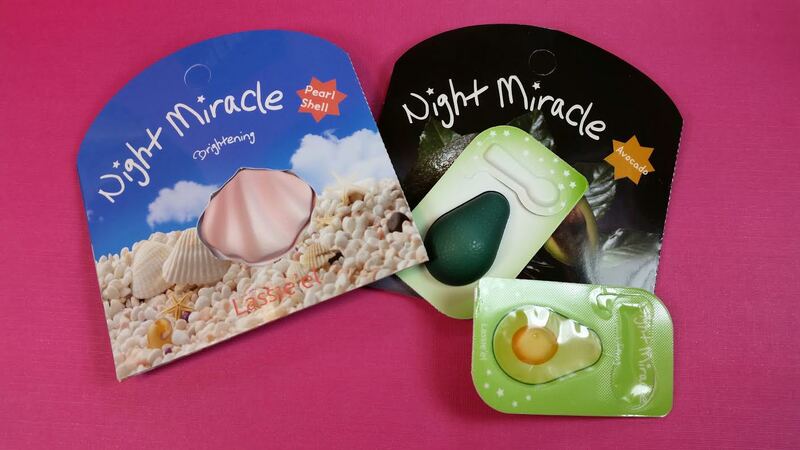 Lassie'el Night Miracle Sleeping Packs- These are SO adorable. I got the shell and mango one previously and didn't want to use them because they're so cute. Now I can because I have back ups! Mix the two formulas together with the mini spatula and then spread on your face. Leave it on overnight. Reports say that you can get two uses out of each little packet. La Bellona Camellia Oleifera Oil Clinic Hair Treatment-50g- Restore dry, damaged hair with this super restorative. Use it as a daily hair conditioner to get silky hair. Use on wet hair, leave for 3 minutes and rinse. More hair care! I won't use this as my issues tend to be more about excess oil, than being dry and brittle but I think I may pass this on to my MIL who does have super dry hair. Yadah Anti-T Spot Cream-15g- This is a fast-absorbing, creamy formula with cactus, green tea, rosemary, aloe vera, and sage extracts. All ingredients are naturally derived and are for helping sensitive skins deal with red spots and blemishes to provide a clearer complextion. I'm using something similar right now by Finco and I am pretty impressed with it so I don't think I'll open this until my Finco one is gone (seriously, it's amazing). VERDICT: I think this box is better than Luckybox #11 which was the last box I got. Even though this one seems to have fewer items and the value is fairly low. Still the products are good or at least I know that several get good reviews. Like the Mise en Scene serum, the Lassi'el and the Dr. MJ. I like that I haven't used (or even heard of) three of the products. 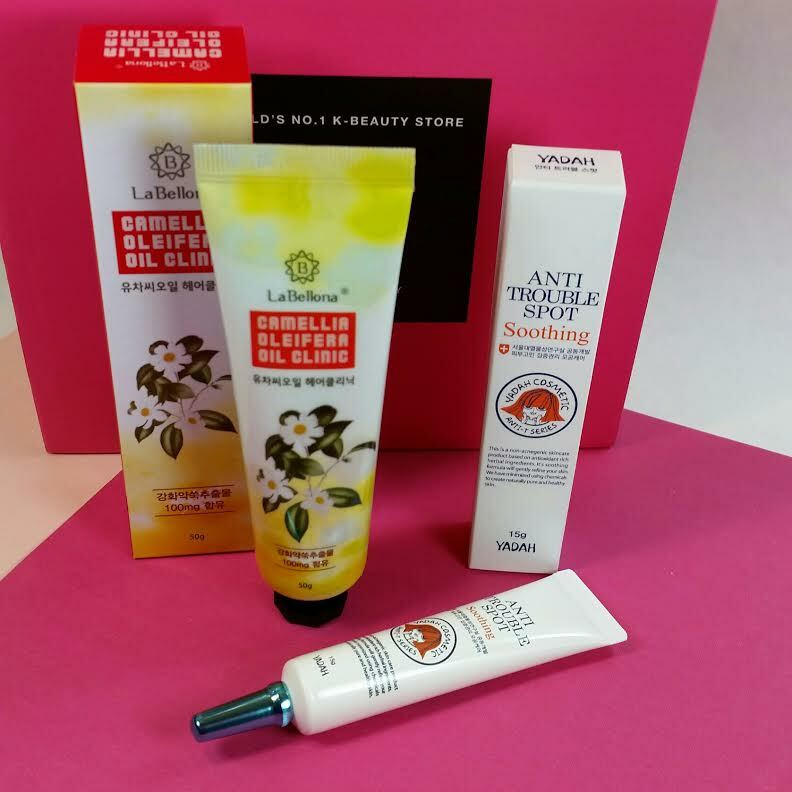 I'm kind of excited to try the Shara Shara item. Especially since the Value Set sold out. I'm actually curious to see if everyone got the same products in Luckybox #13 because Luckybox #14 will have three different versions. I'm not too happy with Memebox leaving it's International customers in the dust and I really hope they reopen their shipping as soon as possible. There are some boxes still available that are shipping internationally. Most are shipping US only, though. I was so hoping they would release new ones today but they didn't! I do have a few coupons available right now for shop purchases. See my Memebox Deals page for the details. One of the better Luckyboxes especially, I think, and much better than my last one (Luckybox #11)! I rec'd the same items and was very happy with all that I rec'd. It was my first Meme box so I'm also very disappointed they will no longer be shipping internationally. I know! It's so disappointing! I hope you were able to get the boxes you wanted! The Chocolate Avocado cream sounds wonderful! I've never seen it before, either. im in California, how do I order luckbox14 or 15? it seems like they dont sell luckybox on their website anymore.